Think about those hot, summer days. You’re practically sweating buckets with the relentless sun throwing its scorching rays down on you. Oh, how you would give anything for something cooling, something refreshing, something that will give you some reprieve from this unbelievably arid weather. And right on cue, a familiar jingle begins from down the street: the ice cream truck chugs along, with its truckload of ice-cold sweetness. Oh, you think to yourself, we’re saved! Who could forget the jingle? I’m sure that as kids, you would immediately dash into your home, hunt for some spare change or beg your parents for money if that fails, and rush out with the other kids in town to buy that irresistible, delectable ice cream. No one forgets that jingle – you’ll definitely be hit by a deluge of nostalgia if you were to hear that jingle now! But who says you’ll have to wait for the ice cream truck before you can enjoy a cone of ice-cold ice cream? Some of you might have that old-fashioned ice cream maker, complete with a hand crank. 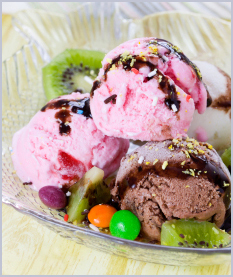 home made ice cream making is a sort of Summer family fun for you lucky souls – Mom and Dad will take turns to crank, add salt and basically make those delicious ice cream for the entire family. Summer family fun, indeed! We would all look forward to Summer, not just because school’s out – Summer is the only season where you have a ready-made excuse to make as much home made ice cream as possible for yourself! Think about having that creamy, yummy home made ice cream everyday after meals in the hot, arid afternoon. Remember that look of satisfaction on your siblings as they licked their ice-cold home made ice cream? You’ll never forget the process of making these home made ice cream – every batch of ice cream takes more than 45 minutes to make, making every batch of ice cream your parents make so much more sweeter. Of course, you won’t be idling in one corner, waiting for the ice creams to be made. You were definitely asked to clean the blueberries or various flavorings, ready the cones and spoons, or prepare the next batch of ice cream to be made. This is the essence of Summer family fun – the entire family comes together to complete a task together, and that’s what bonds the family together. However, so many people nowadays skip this family bonding moment – they simply waltz down to the nearest convenience store to buy their ice creams. It’s true that this is so much more convenient – who wants to spend their time in the hot summer, cranking the ice cream maker for 45 minutes? On the other hand, that sweetness of tasting your hard work is gone. Where’s the “Summer family fun” if all you had to do to eat those ice cream is to place a few dimes onto the store assistant’s outstretched hands? Don’t worry; you can still relive that Summer family fun moment by making your own ice cream. There are various recipes in here to help you recreate those ice cream memories with your family and friends. Grab your loved ones, and start making those home made ice cream and those magical moments shared together now! 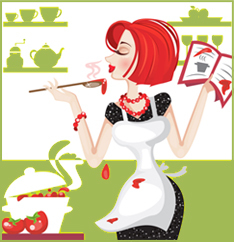 My friend, Suzanne, has an ebook available that has over 100 ice cream and frozen treats recipes. Plus information on how to purchase ice cream makers. Homemade Ice Cream It’s only $6.00 and you can download it right away. Why not print out some of our free ice cream recipe cards we made for you. I just printed these out and they are great! tomorrow we are going to make our first batch of ice cream. Thanks Again. Good – I should certainly pronounce, impressed with your web site. I had no trouble navigating through all tabs and related info ended up being truly simple to do to access. I recently found what I hoped for before you know it at all. Quite unusual. Is likely to appreciate it for those who add forums or something, website theme . a tones way for your customer to communicate. Nice task..
thank u for cards. do you offer personalization of them? We are having a family reunion the end of August and we are going to have one big ice cream table because of your article. I would like to have our recipes printed on the cards with our family reunion name and year printed on them. Please contact me if you can do that and how much you charge. Received my personalized cards today from In Our Kitchen, and they are great. If you order them you will be very happy. We just finished our back to school party in our neighborhood and used your WONDERFUL recipe cards, we wrote the recipes from the book on them, and even used them for party invitations. This was the best back to school party our neighborhood has ever had.